Britt Koskella: Britt is an Assistant Professor in the Department of Integrative Biology at UC Berkeley. Kyle Meyer: Kyle joined the group in March 2019 from Brendan Bohannan’s group at the University of Oregon. He has published broadly on the importance of biogeography in microbial communities (e.g. here) and the impact of agriculture on Amazonian soils (e.g here), and we are thrilled to have him join the lab to help us understand the importance of transmission mode in shaping the plant microbiome. Reena Debray: Reena is a 1st year graduate student in Integrative Biology. She is interested in studying tri-trophic interactions between phages, plant-associated microbial communities, and plant hosts. Catherine Hernandez: Cathy is a 4th year graduate student in Integrative Biology currently working on measuring coevolutionary change between bacteria and phages living within leaves of tomato plants. She is taking advantage of experimental evolution to test when/how the coevolutionary process differs between the in planta and in vitro environments. Elijah Mehlferber: Elijah is a 2nd year graduate student in Integrative Biology who is interested in the ecology of the phyllosphere microbiome. Broadly, he wants to understand why certain bacteria associate with plants, how those associations affect the plant’s interactions with other bacteria, and how those bacteria interact with other members of the microbiome. Norma Morella: Norma is a 5th year graduate student in the lab, affiliated with the Plant and Microbial Biology department, who is examining the impact of microbial transmission (e.g. via seeds) under agricultural conditions. She is also developing a novel method to measure bacteria-phage dynamics and assess the risk of bacteriophage infection in microbial populations/communities. Tristan Caro: Tristan joined the lab in 2017 and is working with Britt on a new project exploring natural bacteria-phage dynamics during fire blight infection of pear trees. Charmaine Fong: Charmaine joined the Pear project in 2018 and is tracking bacteria-phage dynamics in pear trees. Alina Lee: Alina joined the lab in 2018 and is helping on numerous projects, including leading the way in hunting for phages to complement our growing synthetic microbiome of tomato plants. Michelle Leung: Michelle joined the lab in 2016 and is working with Britt, in collaboration with Jenn Lewis, on a method for rapidly identifying phage receptors allowing infection of the plant pathogen, P. syringae. James Lu: James joined the lab in 2018 and is working with Elijah on variation in phage traits. Kore Lum: Kore is working on an experimental evolution project using two lytic phages that have evolved in a variety of environmental conditions with different strains of Pseudomonas syringae. She is now working on assays to determine how those conditions have impacted fitness of the evolved phages on the different bacterial strains. Aditi Maheshwari: Aditi joined the lab in 2018 to work on the Pear project – helping us track the dynamics of bacteria and phages within the phyllosphere of diseased pear trees infected with Erwinina amylovora, the causal agent of fire blight disease. Aspen Pastore: Aspen is working on the biofilm phage project with Cathy Hernandez. Rachel Rovinsky: Rachel joined the lab in 2017 and is working with Elijah on the role of bacterial and plant signaling molecules in inducing plant immunity. Shirley Zhang: Shirley joined the lab in 2017 and is working with Norma on a project to determine the protective effects of bacterial communities against the pathogen P. syringae. 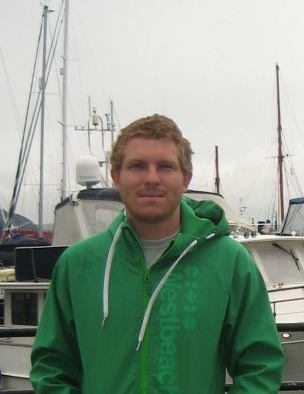 Sean Meaden (Phd student, University of Exeter, 2012-2015): Sean finished his PhD focusing on understanding how coevolution with phages affects the fitness of a bacterial pathogen on its plant host. He went on to work as a postdoctoral researcher with Prof Mike Boots at UC Berkeley, and now a postdoctoral researcher with Edze Westra. Shangyang Christopher Yang: Chris joined the lab in 2016 and worked with Norma on designing phage specific probes to measure phage-phage competition in vitro. Callie Cuff: Callie joined the lab in 2017 and worked with Britt on a project exploring natural bacteria-phage dynamics during fire blight infection of pear trees. Benjamin Keningale: (2013, Undergraduate, University of Exeter) won Darwin award for top honor’s project in University of Exeter’s BioSciences department; just finished his MSc at the Royal Veterinary College and now deciding among PhD programs. Olivia Lee: (2013, Undergraduate, University of Exeter) Graduatd with an MSc from University of Liverpool, then volunteered with Edze Westra, looking into the whens and whys of the evolution of CRISPR immune system in bacteria, and now a Lab technician at the University of Southampton, Clinical and Experimental Science department, looking into the effects of a novel topical pharmaceutical gel on skin cells cultured in vivo. Derek Lin: (2010, Honor’s project student at UC Santa Cruz, where I was a postdoctoral fellow) now a research technician at the Biomedical Research Institute of New Mexico, and an active collaborator. Angela Pogson: (2015-2017, Volunteer, Berkeley) Angie joined us in her 1st year at Berkeley to work, in collaboration with Britt and Steve Lindow, on bacterial ice nucleation in the tomato leaf. Priyanka Ranade: (2016-2018) Priyanka joined the lab in 2016 and was working with Cathy on bacteria-phage interactions within the leaves of tomato plants. Grant Wang: (2016-2017, Volunteer, Berkeley) Grant spent over a year in the lab working closely with Norma to study the impact of phages within the tomato microbiome; now beginning a 1-year’s masters program at Tufts University. Francis Weng (2018): Francis joined the lab for a semester at the end of his Phd on an Academia Sinica fellowship from the National Taiwan Normal University. He is working with us to apply network models to understand when and how a microbiome confers protection against a given pathogen. Annika Gomez (2016): Annika is an undergraduate at Cornell University who spent a summer in the lab as part of the prestigious Amgen Scholars program. Stefanie Barbosa Potful Soares (2016): Stefanie is an undergraduate at the Federal University of Espirito Santo (UFES) in Brazil who worked in the lab over the summer as part of Brazil’s Scientific Mobility program. Lab group May 2018: Top row, from left: Tristan Caro, Shangyang Christopher Yang, Rachel Rovinsky, Norma Morella, Elijah Mehlferber, Shirley Zhang, Britt Koskella; Bottom row, from left: Callie Cuff, Priyanka Ranade, Catherine Hernandez, Michelle Leung, and Alina Lee; Not pictured: Kore Lum.